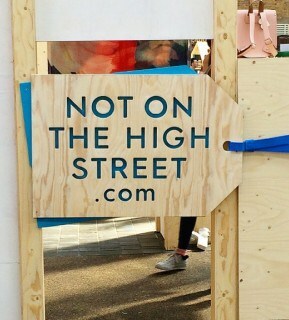 Notonthehighstreet.com opened up their first ever offline interactive shopping experience in Spitalfields Market. This was to make the celebration of it's 10th birthday and ran from Friday 6th - Sunday 8th May. 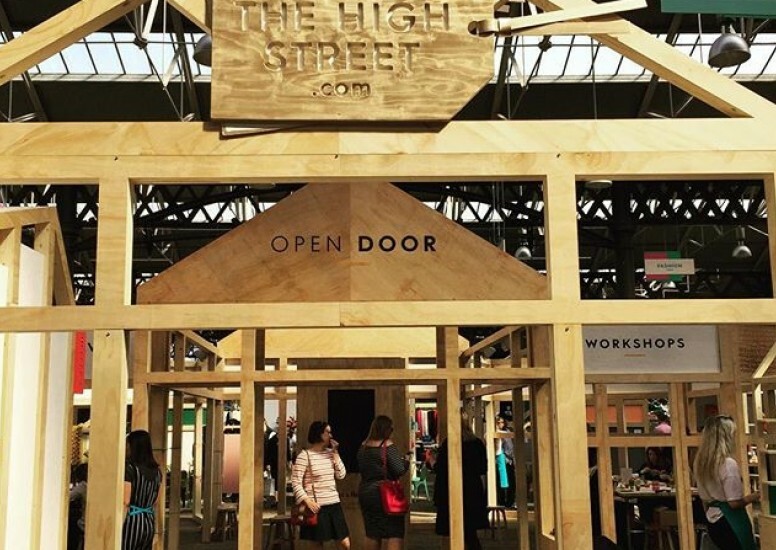 The aim was to transform the historic market in London into an interactive shopping experience and allow their customers to experience all of the online retailer's key categories. 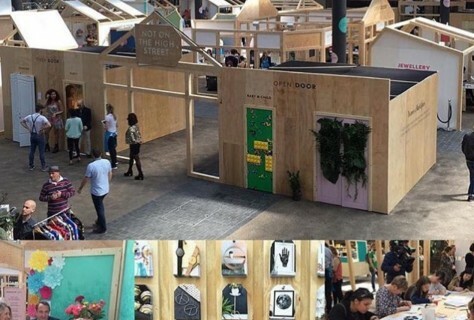 The design of the pop-up included raw wood structures which divided the space into dedicated areas for different products the online retailers offers. These include Garden, Home, Wedding, Fashion, Jewellery, Baby & Child and Food & Drink. 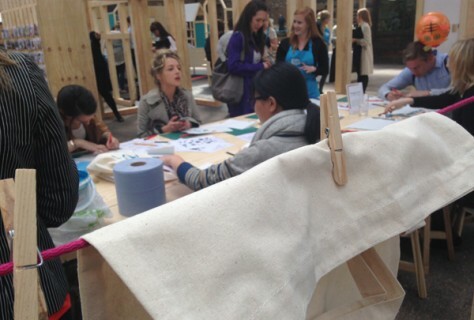 There were more than 100 small, creative businesses who sell through the website taking part in this weekend event. Demonstrations and workshops took place throughout the day from sellers who are on hand to supply everything from food and drink tasting, hula hoop sessions, creative workshops, music and more. 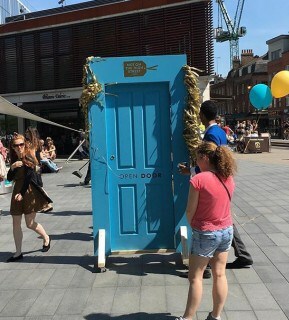 As well as this there were several 'open doors' that visitors could walk through and immerse themselves as well as having a one-of-a-kind-experience, one even offering their own red carpet catwalk while being photographed by the paparazzi.